Aura headed to London's Victoria Park to check out Field Day and the likes of Django Django, FKA Twigs and more! Latitude today announces the line-up for their 10th Edition which takes place Thursday 16th to Sunday 19th July 2015 in the stunning grounds of Henham Park, Suffolk. The ninth edition of Field Day will be held at Victoria Park, in the heart of East London on Saturday 6th and Sunday 7th June 2015. End of the Road Festival announces its headliners for their 10th year anniversary, check out the lineup here. We have the latest additions to the Field Day 2015 lineup which include the likes of FK Twigs and more. We have the first announcement from the team at Field Day, check out who will be at the 2015 event right here! 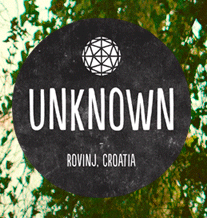 The inaugural Unknown Croatia today confirmed that all tickets have now SOLD OUT! Unknown Croatia announce worlds first Boiler Room Island! Unknown can reveal they will play host to a world first, the first ever Boiler Room Island will be available to a limited number of festival ticket holders! Secret Garden Party is a mad mix between Alice in Wonderland's world and the magic of Peter Pan, the adventure begins as soon as you step through the gates.